Kerry manager Eamon Fitzmaurice. Photograph by John Kelly. 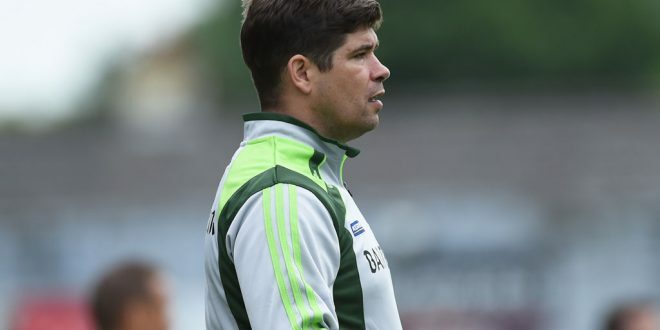 KERRY manager Eamon Fitzmaurice believes Clare and Tipperary are not being shown sufficient respect, despite making it to the last eight of the All-Ireland championship. 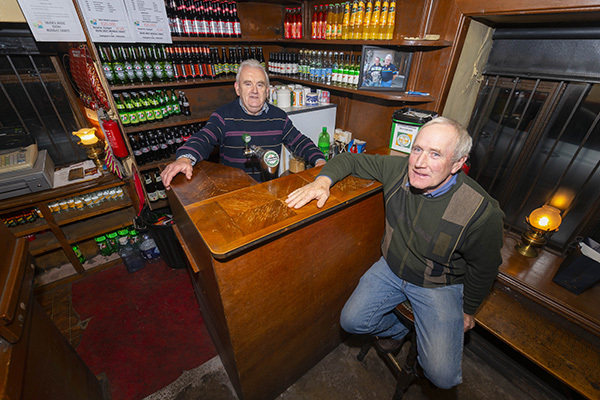 The 2014 All-Ireland winning manager maintains that both have earned their place in the quarter-finals as much as any of the remaining counties. “They were being dismissed because we beat them, completely dismissed, both teams and I think it was very disrespectful to be honest. I think both teams have gone on and shown the quality that they have. I think that of the teams that played in Division 1 this year there’s two who haven’t been beaten by a team from a lower division, ourselves and Dublin. The other six have all been beaten by teams from lower divisions. I think it shows the work that’s going on, in particular in the likes of Clare and Tipperary and the progress that they’ve made. “There was a reaction to the wins at the weekend, that we were playing Clare. There were words like ‘farcical’ being used,” the Finuge clubman and secondary school teacher noted. He cannot believe that Kerry’s possible route to the semi-final has been so dimissive of Clare. “It was said we were inside in an All-Ireland semi-final already, without having played the game at all. Again I found it very disrespectful to Clare in particular in that case, that they had got to an All-Ireland quarter-final on merit, having won three tough games and it was being described as farcical. It’s good for Munster, it’s showing what we know ourselves because we come up against them and we know that we have to be at our best. They scored 17 points against us in Killarney, created good chances and were very good, so we certainly respect them, but there is certainly a lack of respect out there for their achievements and similarly for Tipperary,” Fitzmaurice reiterated. He expects Clare to attack on Sunday and not to opt for a damage limitation approach. “I think similar to the way they played against us in all of the games, they’ve had a real go. Some of the games have been tight. The game against Laois was very tight. They put up a big score against Sligo. The last day they played very well again and probably should have even scored a bit more than they did. I think they’re playing with fierce energy, verve and confidence now that they’ve got three wins under their belts. If I didn’t say it in the press conference after the Clare game, we were definitely commenting on it ourselves, that they would be around for the summer because they’ve got a lot of very good footballers and they play attractive football. They’re well coached and they’ve had a great run of it through the qualifiers and it’s really suited them,” the Kerry manager reflected. All of that said, Fitzmaurice acknowledged he would prefer if Kerry would meet a team in the quarter-finals whom they hadn’t already played in this year’s championship. “Absolutely and last week that’s the way I would have felt about it but, having seen the games, undoubtedly of the three teams we could have played, Clare are the best, simple as that. So from our point of view they’re going to give us a strenuous test and if we can get over them, they’re going to give us a tough test. Obviously we’re planning to beat them but, again, we’re going to have to be at our best. They’ve improved since last June and they’ll have serious confidence and momentum, which are two key ingredients in sport if you’re trying to win games. Derry would have given us a new challenge and a different challenge but not a better challenge; Clare are better than Derry,” he believes. Fitzmaurice accepts that Clare will be hugely motivated to make up for their 12-point defeat in early June. Kerry haven’t played since their Munster final win over Tipperary a month ago. Fitzmaurice accepts that this is a concern. “It is a challenge. It was great that lads had county championship and a few lads played county league games and it was good for them to get out of the bubble and play those club games and, thankfully, guys came through without getting any major knocks or whatever, which is always the danger of the club weekends. We turned it the other way. We didn’t know our opposition, so we focussed on ourselves, which is no bad thing. We had things to improved on from the Munster championship that we needed to get right going to Croke Park, regardless of who we were going to be playing. The Kerry manager said Colm Cooper will not be fit to play on Sunday, while Mikey Geaney is also absent. Midfielder Johnny Buckley has also yet to return to full fitness. Kerry selectors Liam Hassett, Mikey Sheehy and Padraig Corcoran travelled to the Clare v Roscommon game in Salthill. Given that Clare will be playing their fourth game in successive weeks, Fitzmaurice feels that they could be tired. “We’re going in against a team who have momentum and have been playing games week-in week-out. The other side of it then is will there be a bit of fatigue on their part, which shouldn’t be on our part. It’s a tough one. They have a level of match fitness at the moment that we probably don’t have, so it’s something we’ll just have to factor in and hit the ground running if we can,” he concluded.